AT THE END of September last year, there were 6,329 children in care in Ireland. In each case before the court, a judge had to issue a care order, ruling that the State was taking the appropriate course of action. Later, the same judges are asked to rule on whether the children should return home to their parents, or remain in care. Previously, all such court hearings were in camera (private) and the media could not attend. That rule was changed so a light could be shone on proceedings, and society could be made aware of the issues that the court deals with in relation to family breakdowns, children in care, and domestic violence. Having done so on a number of occasions last year, TheJournal.ie spent another two days in the family courts recently to report on the nature of the cases that come before it. In the last of this four part series, we cover one of the more uplifting cases we witnessed during the proceedings, which saw a young mother granted more access to her child. That’s how a judge referred to the case of a mother who had turned her life around and regained access to see her child in the family court this week. In the short hearing, the court heard how the mother had committed to increased access to her child and had made significant improvements to her life and circumstances since she first appeared before the court last year. 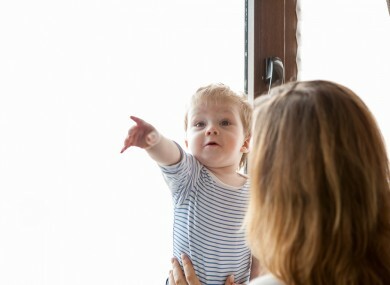 The judge ruled that it was appropriate for the court-appointed guardian ad litem – who represents the interests of the child – to remain involved with the mother and child going forward. The mother now enjoys increased access to her child, who stays with her over four nights a week. The child was placed in care at a period last year. All parties acquiesced to the case being adjourned for six months, at which time the judge will hear about the continued progress in the case. The judge, in particular, was keen to praise the visibly relieved mother for the progress she had made. You have come a long way. I wish you the very best of luck. The case will reappear back before the courts in October. Email “'You have come a long way': Court hears how mother turned life around to regain access to child”. Feedback on “'You have come a long way': Court hears how mother turned life around to regain access to child”.